Salem, VA — (ReleaseWire) — 11/06/2018 –Nicus Software, Inc., a leading provider of IT Financial and Technology Business Management solutions, today announced that John Clark has been named Chief Executive Officer and member of the Board of Directors. Clark has more than 20 years of senior leadership experience, most recently as President at Snow Software, which established the Software Asset Management category. Prior to that, Clark served as VP, Americas at Flexera Software, which he helped build to over $100M in annual revenue. “We are excited about the energy and skills John brings to Nicus,” added Nicus co-founder and outgoing CEO Robert Mischianti. 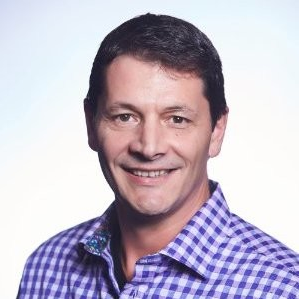 “John understands global sales, go-to-market strategy, and customer satisfaction, and he is very aligned with the Board and the founding team in our dedication to seeing our customers succeed.” Mischianti will remain actively involved as Chief Evangelist, working closely with customers and promoting Nicus and ITFM as a speaker and writer. John Clark’s diverse background includes a career with several world class companies, including Oracle, Deloitte, Flexera, and most recently Snow Software. He has defined and created several new markets, including the Software License Optimization market for Flexera and the Software Asset Management market while at Snow. John’s appointment is supported by a significant growth investment from Spotlight Equity Partners, a private equity firm focused on software and technology-enabled service companies. Nicus Software is a rapidly-growing software company that provides IT Financial and Technology Business Management (“ITFM”) solutions to large enterprises and state and local governments, helping world-class IT organizations make informed investment decisions and CIO leaders tell their IT value story. Nicus’s software enables many of the world’s leading companies and organizations, and includes a comprehensive set of solutions, including IT Planning, Service Cost Modeling, Bill of IT, Application TCO.